Time to round-up my beauty favourites for December, the party season with lots of shimmer, sparkle and let’s face it…make-up! Obviously a lot of products were used in the busy month of December, but I have chosen the products that I seemed to use for almost every night out and event, making them my top five! Starting with my fabulous and new Soap & Glory face and powder brush, I picked it up from Boots (when buying Christmas gifts) and it was under £10 so I thought why not. I was looking for something small so it could fit in my bag for quick touch ups when out and about. It is a great little tool for powdering your face all over and taking away any shine, it’s so soft and quite wide so great for an all over powder dusting. It is also great as an all over bronzer brush as it doesn’t isolate your product to one area. Definitely a good buy that I got just in time for the party season! 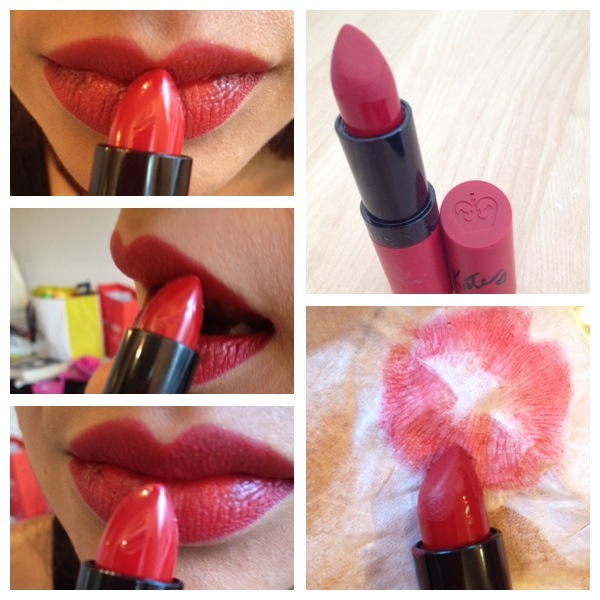 I know you have all been loving my beauty review on the Kate Moss for Rimmel Lipsticks, they are amazing aren’t they?? Well I am truly addicted, I love how they are so soft when applied and then become matte and last! In my review I raved about the shade 107, which I still love but as red is the colour for Christmas I also tried shade 111 which a brighter red. I am totally amazed by these lipsticks and dare I say it, I prefer this to the much raved about Mac Rubywoo. It lasts longer, feels softer on the lips and is half the price! Even though Rubywoo is an amazing shade, on this occasion I prefer Rimmel. You have heard me talk about Fearne Cotton’s eye make-up collection before, but the eye crayon has been one of my must-have products this party season. It is a great little highlighter and I have been using it to give my tear ducts that subtle hint of shimmer. It makes all the difference for subtle sparkle and to make your eyes pop! The gift set is now half price at Boots, so if you want to try it now is the time! 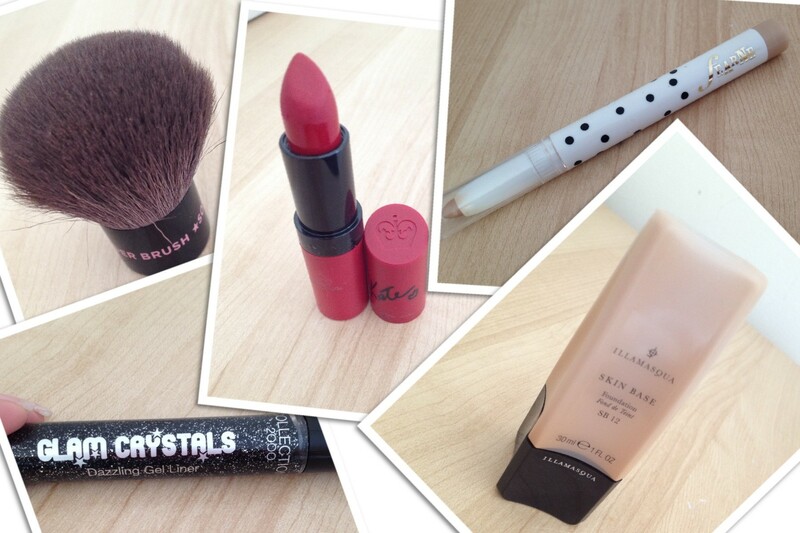 The next product is all in the name, Glam Crystals…need I say more? Black eye-liner is obviously in every girl’s make-up bag, whether it’s gel, crayon, pencil or liquid. However, a black eye-liner with a hint of sparkle is hard to find. 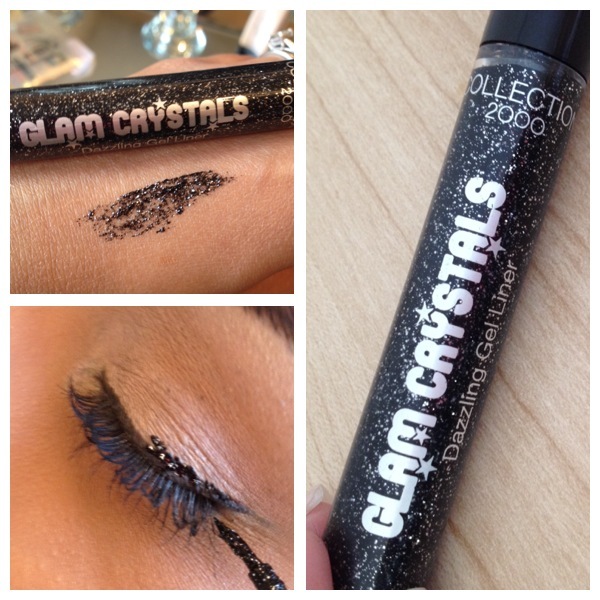 Collection 2000 (available from Boots) have their Glam Crystals range with some vibrant glitter eye-liners. I love this black one, just to trace over my usual black liquid eye-liner for that added sparkle! If you want more sparkle just add another coat, wear it all over your eyelid or even at the tips of your eyelashes so every time you blink there is a little sparkle (a bit like a fairy!) This product is great for a full on sparkle party look but also great for simple make-up look with a hint of sparkle if you are out for dinner. I love it!